All small business owners should know how to market their businesses, and a lot of that has to do with SEO strategy. SEO stands for search engine optimization, and if you use it correctly, it can help to increase your leads (and sales). But SEO is a much-misunderstood component of marketing strategy, and thus one of the most neglected aspects of a business’s digital presence. Engaging an SEO marketing agency can be a terrific investment. As with any situation where you’re entrusting your brand to an “outside” entity, you want to be sure you’re getting the real deal. Here are 5 key questions to ask before you embark on a business relationship. 1. How will optimization change the user’s experience on my website? SEO should be completely seamless. 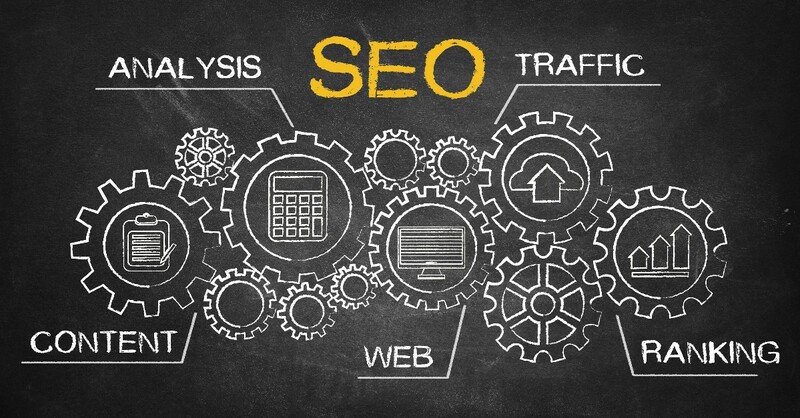 If it’s done correctly, your customers won’t have any idea that your site has been “optimized.” A high quality, experienced SEO marketing agency will be able to put the correct keywords into your website content without it being noticeable by end-users (it will, however, be noticeable to search engines - helping you achieve more favorable rankings). If your site is properly optimized, it will also enable your users to navigate your site much more easily and intuitively. Users won’t have to waste a second waiting for pages to load, searching around for the information they need, or wading through irrelevant content. Your website navigational structure will all be completely tailored to their needs. 2. Why do I need an SEO Strategy? People tend to use search engine websites like Google or Bing to get answers for their most pressing questions, from what car dealership to visit to the most effective anti-aging injections. Search engines use complex algorithms to sift through myriad websites and deliver the most relevant website results. With an effective SEO strategy, your site will pop up higher on the results page, giving you a much better opportunity to increase the traffic on your website. And once people are on your website, they’ll see the great layout and content - and you can move on to converting them into customers. 3. why can’t I just use a bunch of keywords? It seems like it would to be so easy to just throw a bunch of keywords into the content on your website, right? A number of years ago this worked, but search engines got smart because so many people were flooding their content with keywords without having high-quality content. What worked yesterday is no longer acceptable in the eyes of search engines. This also applies to other methods, such as duplicating content or creating and/or posting content exclusively for the links. A current and well-executed SEO strategy can work to increase your site’s rank properly, and you’ll avoid the penalties that tank your rank. 4. What is the SEO process? To make sure your page is optimized correctly, it will first need to be audited. The experts at your SEO marketing agency will do a thorough checkup to see which elements need updating or replacing. They will then do keyword research to make sure that they use the right words and phrases to get the results you’re looking for. Today, an SEO marketing agency should also help you examine elements such as content, images, links, social, etc., that play a critical role in the search engine results pages. 5. Does SEO take long? It depends. Beware of promises of quick fixes. Think of it like getting in shape. Would you trust a trainer who said you could have a six pack in a week? It’s the same with SEO: quality results can take time to achieve. When you implement sound techniques, they will start working, and you will see results in two to six months on average. But again, don’t fall for stock answers. Your brand and website are unique; you’re starting from a different place than other businesses, and your results will be individual to you. Look for honesty and realism from your SEO marketing agency above all else. Never be afraid to ask any questions of your potential SEO marketing agency. They should be willing and able to answer any questions that you have. They should also go further and make sure you fully understand, and are comfortable with, the SEO strategy they develop and recommend for your brand.